The Hunter Evo 101.6mm Single Flush Glazed Framing is the most versatile and flexible of the Alspec® Commercial Framing Systems. Available in a frame depth of 101.6mm x 50mm, it is ideal for shopfronts. With it's straight cuts and flush glazing the Hunter Evo not only looks good, but is easy to fabricate and easy to install. 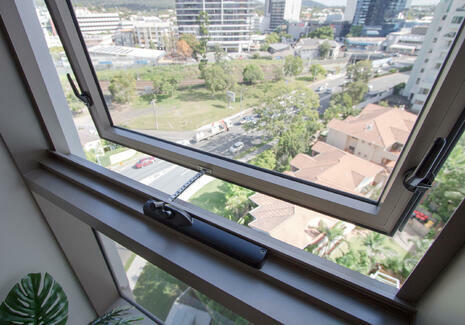 Suitable for a range of single glazed glass thickness options to address the most demanding energy requirements. With self draining sub sills it also solves water leakage problems. 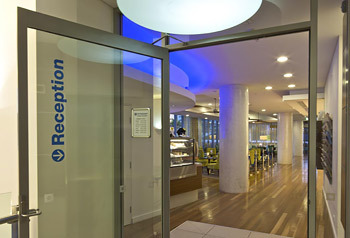 The system can be internally or externally glazed along with incorporating the flexibility and appeal of gently curved or faceted frame installations. The Hunter Evo also provides a seamless interface with Alspec's® extensive product offer. 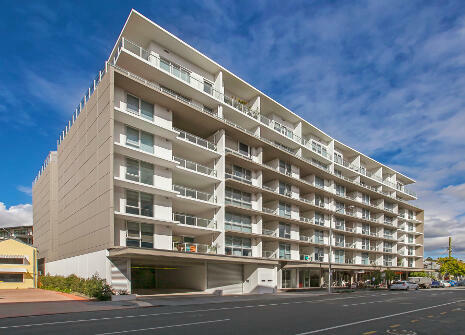 A sunny seaside development has used architectural grade aluminium window and door framing products with a highly durable powder coating finish to ensure robust building performance. 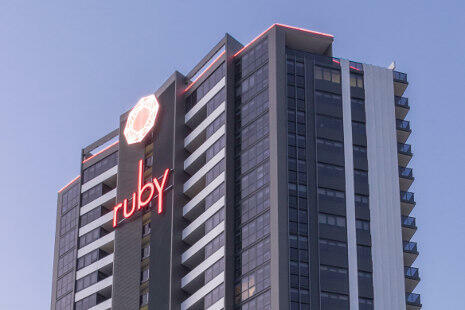 The Ruby Apartments at Surfers Paradise have drawn on the comprehensive range of Alspec products to create a luxury holiday complex. 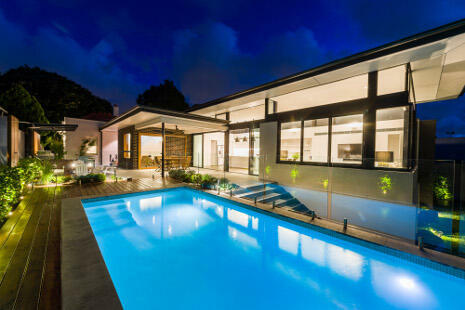 Light, space and privacy have been maximised in the creation of an expansive indoor-outdoor living space at this Haberfield home. This lifestyle-focused development in Teneriffe makes the most of Brisbane CBD, river and district views thanks to generous balconies enclosed with Alspec’s EndurAl balustrade system. 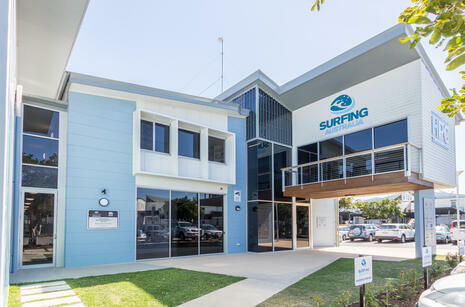 A new training centre on the north coast of NSW is providing a world-class facility for budding surfers. 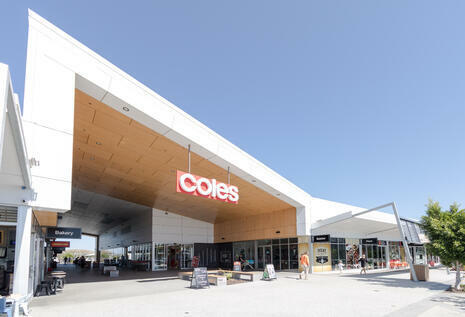 The seaside community of Casuarina Beach has reached an exciting development benchmark with the completion of the Coles Casuarina Village as part of the new town centre. 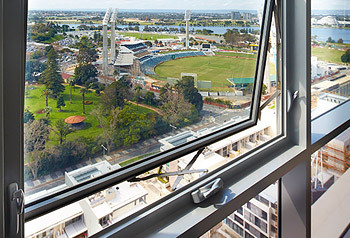 Guests at a new North Sydney hotel won’t even notice they are sleeping just metres from one of Australia’s busiest roads, thanks to purposefully selected acoustic glazing products from Alspec’s high performance ranges. 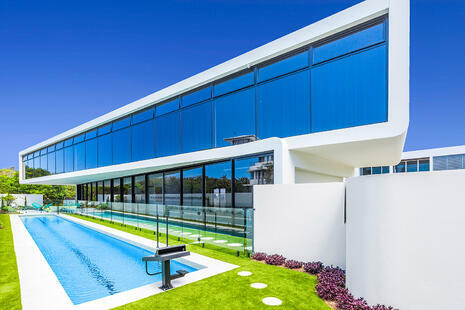 The striking design of a new home on NSW’s north coast has been inspired by the architecture style "Googie", once considered futuristic and made popular during the space age era of the mid-20th century. 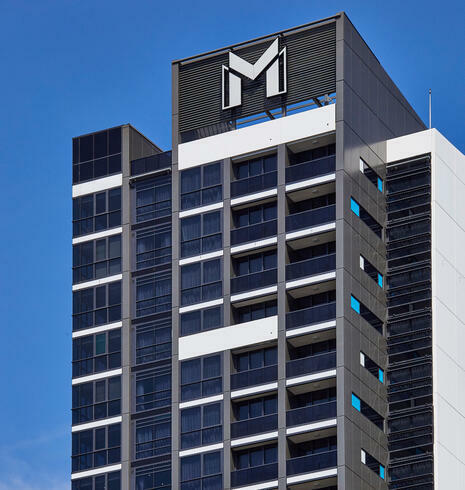 A soaring 35-level apartment building has used a full range of Alspec window and door framing solutions to deliver light-filled suites which make the most of the sunny Gold Coast location. 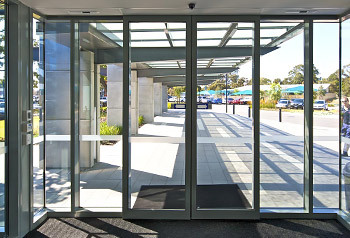 Invisi-Maxx Security Screening has been used in a practical, creative manner to turn a safety product into a striking design feature at James Cook University in Cairns. 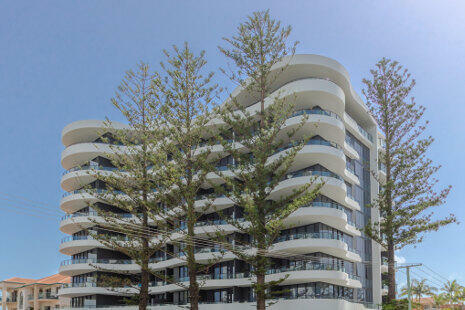 A new 15-level apartment building has taken a front row seat in a prime location opposite Kirra Beach on Queensland’s Gold Coast. 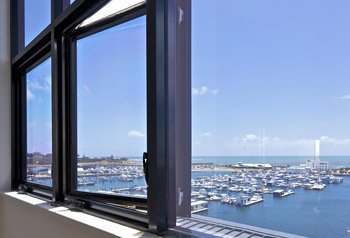 The residential apartments have been completed with a range of Alspec’s window and door framing products. 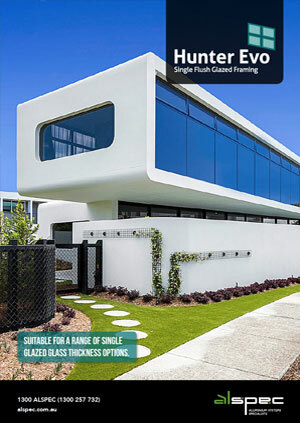 Alspec’s popular Hunter Evo framing solutions have featured in a combined new construction and renovation project at the Greenslopes Private Hospital in Brisbane. A set of iconic grain silos transformed into residential apartments with a striking curved façade utilising Alspec’s high performance window and door framing products. 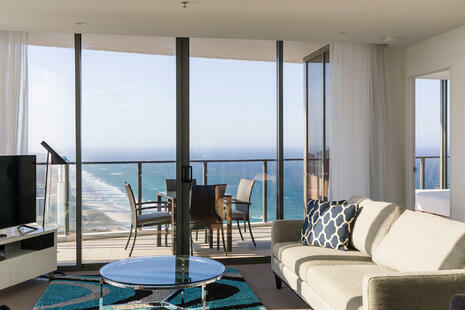 With luxurious apartments bathed in light from expansive floor to ceiling doors and windows, the aptly named First Light Mooloolaba development is setting a new standard in beachside living in the Queensland holiday destination. This new student accommodation building features stunning modern design and construction from high quality componentry, featuring products from Alspec’s comprehensive window and door framing ranges. 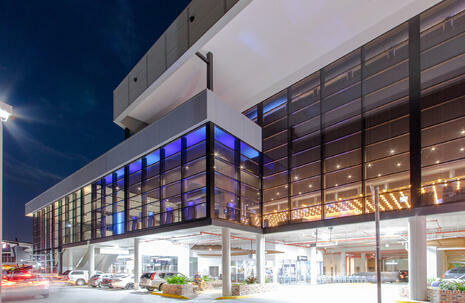 Glass frontages of cinematic proportions welcome visitors to the recently completed Reading movie screening complex in Newmarket, Brisbane. A new world-class training centre has set the scene for a successful season ahead for the Brisbane Broncos National Rugby League team. 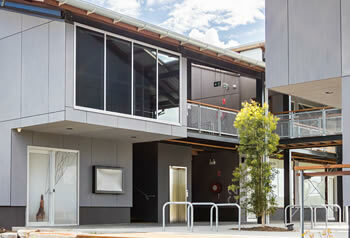 The recently completed facility in Red Hill features a range of Alspec glazing solutions. 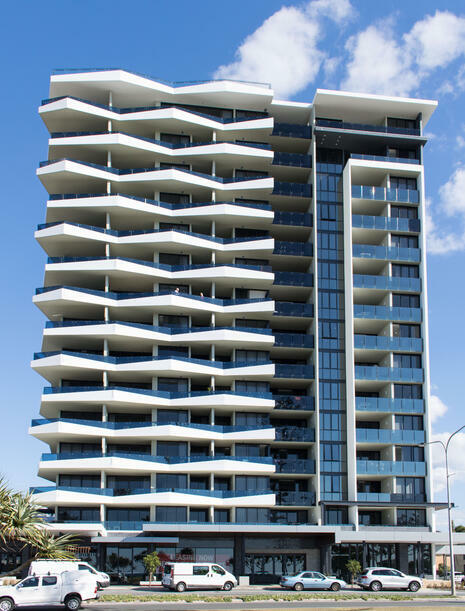 Award-winning high rise apartment building Rhapsody Surfers North put Alspec’s range of commercial grade window and door products to the test. 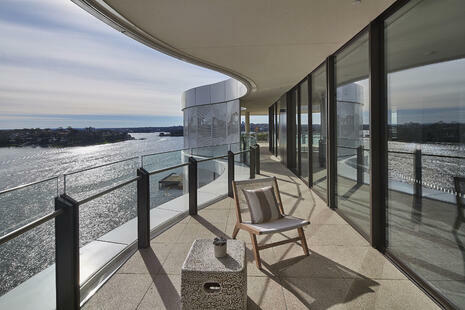 Few places offer the opportunity to live right on the water, yet also in the heart of a vibrant international city. Introducing Anadara and Alexander, two breathtaking residential buildings that each evoke a distinct personality. 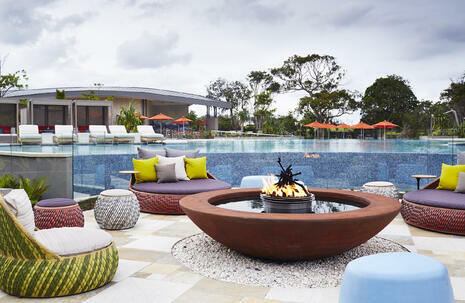 Following six years in planning, design and development the 50-acre beachfront masterpiece has received much acclaim since welcoming its first guests last year. 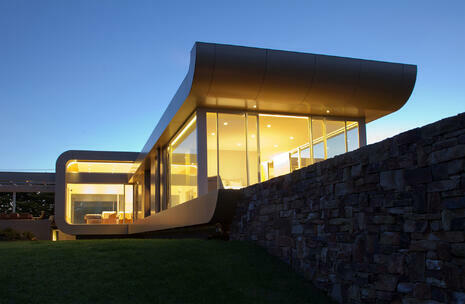 Perched on a hilltop overlooking Lake Corunna is a home like no other. An architectural accomplishment of interlocking pavilions arranged as floating prisms, glistening like a continuous ribbon of gold. Art teacher and sculptor Laurie Smith and his wife Renee Hoareau are both zealous art lovers. 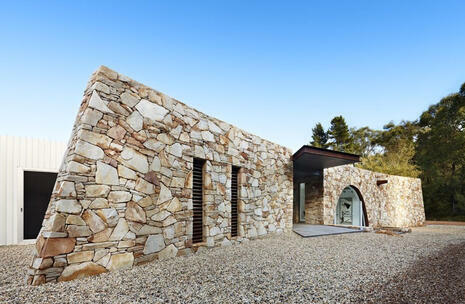 Their vision is to create a sort of domestic gallery that will inspire both inside and out.